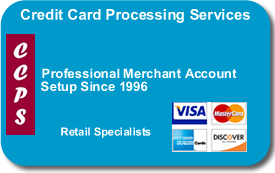 At Credit Card Processing Services our first priority is to provide professional personal service to every one of our merchant clients. So when you see that we also strive to offer you the lowest pricing please don’t think for a minute that because we have a lowest price guarantee that the tradeoff is a reduction in the level of service. In fact the opposite is true. Because of our free equipment placement programs and the low rates that go along with it there is a much greater incentive to make sure that our merchants remain our clients for the long-term in order for us to be profitable. We are both thrilled and honored that the vast majority of our merchants have been with us for many years, many over 10 years, and even some that have left after being enticed by a competitor have returned to us because of our level of service. That being said, Credit Card Processing Services continuously searches the Internet for offers from legitimate competitors in the marketplace. When we see a legitimate offer that has total lower pricing than ours we do our best to adjust the pricing on our website. Since there are many components that make up the pricing schedule for a merchant account we look at the entire package offered. For example, some companies might offer what appears to be a very low qualified discount rate but then make up for it by charging an over-market rate on mid or non-qualified transactions or offer a low statement fee and then have an annual membership fee. So even though merchant account comparisons are often apples to oranges differences, Credit Card Processing Services intent is to ensure that our competitive price comparison and guarantee are a fair reflection of the costs to you over the course of a year. To that end we compare all of the major fees including, but not limited to, equipment cost, account set-up, statement fee or reporting fees, discount rates for all interchange categories, batch fees, annual fees, etc. We will calculate these costs based on the estimate of your charge volume, average ticket, business type, and other related factors. You have probably noticed that our website provides our pricing structure upfront in a clear and concise manner. We have done this for over 10 years and are one of the few merchant account ISO’s that does so publicly on the Internet. While some of our friendly competitors have expressed dissatisfaction with the online publication of our low pricing it is our desire to present our programs in a professional manner rather than having to wheel and deal like a used car salesman. If you do locate what you believe to be a lower priced offer either online or from an in person sales representative and would still like to give us the opportunity to earn your business then we request that you fax a written copy of their proposal and/or the completed Schedule of Fees page from their merchant agreement or if already processing the latest 2 months of merchant statements and the original merchant agreement to us at 215-489-7880. We will then review the material provided and respond to you within 1 business day with a competitive proposal which we guarantee to be priced lower than the legitimate offer you have received elsewhere. Upon agreeing to our guaranteed lowest price, we will allow you 5 business days to complete a merchant account agreement supplied by Credit Card Processing Services. If we do not receive an application within this time we retain the right to rescind the guarantee. Since we do not believe it is fair or professional to conduct a bidding war when it comes to something as important as your merchant account we will not be required to beat any subsequent offers presented by the same merchant. In addition, our lowest price guarantee is subject to your merchant account being approved by our processing bank. If you have any questions or comments about our lowest priced merchant account guarantee please feel free to contact Kevin via email at Kevin@mcvisa.com or toll-free at 800-717-1245.
for your credit card processing. © Credit Card Processing Services, Inc.